Our product range includes a wide range of soya cheese sauce, jalapeno cheese sauce, sour cream onion cheese sauce and cheddar cheese sauce. 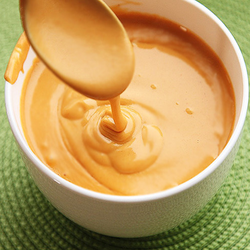 we are highly engaged in manufacturing, exporting and supplying a qualitative grade Soya Cheese Sauce. The provided soya sauce is widely demanded among our clients for its long shelf life and enriched nutrients. This soya sauce is prepared by our highly experienced professionals using premium grade soya been and other qualitative ingredients. Further, to ensure the best quality, our quality experts test this soya sauce against several quality parameters. Recommended Usage For Thin Gravy: Add 20 gms. premix 150 ml. of milk 30 gms. cream 150 gms. tomato puree 100 ml. water and simmer on medium heat for 1 to 2 minutes. For Thick Gravy: Add 60 gms. premix 50 ml. of milk 25 gms. cream 150 gms. tomato puree and simmer on medium heat for 1 to 2 minutes. Shipping & Storage: Shipping and storage temperatures should not exceed 60°C. Storage should be in clean & dry place. We feel proud to introduce ourselves as the foremost manufacturer, exporter, wholesaler and supplier of excellent quality Jalapeno Cheese Sauce. This product can be used wherever cheese flavor is required & excellent when used in culinary applications such as sauces, dips, dressing & seasonings. It blends nicely with different dressings/sauces, such as mayonnaise, Béchamel etc as well. This cheese sauce is made up of Whey Powder, Partially Hydrogenated Vegetable Oil, Glucose Syrup Solids, Salt, Milk Solids & various others. sauces, dips, dressing & seasonings. It blends nicely with different dressings/sauces, such as mayonnaise, Béchamel etc as well. Recommended Usage: Add 10 gms. to 20-25 ml. of hot water To use with others sauces such as mayonnaise/ béchamel etc. 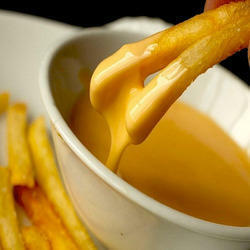 : Blend equal parts of mayonnaise/ Béchamel & liquid cheese sauce. 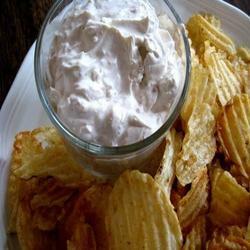 With the help of professionals, we are capable in offering Sour Cream Onion Cheese Sauce. Our product is demanded in the market for their features like- good in test, easy to shred and smooth texture. Offered product is made up of ingredients like Salt, Milk Solids, Fat powder, Hydrolysed Vegetable Protein, Acidity Regulators (E 330, E 270), Yeast Extract, Sugar, Spices And Condiments, whey Powder, Partially Hydrogenated Vegetable Oil, Glucose Syrup Solids, Modified Starch (E 1442), disodium Phosphate (E 339), Stabilizer (E 415, E 407), Flavor Enhancer (E 627).contains Permitted Natural Colors (E 160b, E 100). Applications: This Product Can Be Used Wherever Cheese Flavour Is Required It Is Excellent When Used In Culinary Applications Such Assauces, Dips, Dressing & Seasonings. It Blends Nicely With Different Dressings/sauces, Such As Mayonnaise, Béchamel Etc Aswell. we have successfully attained the name of reliable manufacturer, exporter and supplier of an optimum quality grade Cheese Sauce. 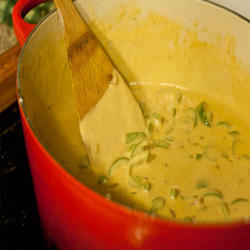 This cheese sauce is widely acknowledged by our precious clients owing to its delectable taste and long shelf life. The provided cheese sauce is prepared by the special team of our skilled professionals using the best grade cheese and other ingredients. Further, to ensure the best quality, the offered cheese sauce is precisely tested by our quality experts on several predefined quality parameters. Looking for Cheese Sauce ?